On November 6th 2016, the Federation of Independent Trade unions and NGOs (FITUN) issued the following statement. 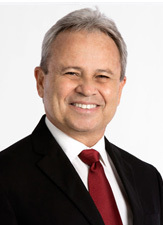 The Federation of Independent Trade Unions and Non-Governmental Organisations, FITUN, demands that the Minister of Finance, Mr. Colm Imbert, immediately issue an unconditional apology to the Trade Union Movement, the National Tripartite Advisory Council (NTAC), all workers and all dispossessed and poverty stricken citizens of Trinidad and Tobago for his disrespectful, disingenuous, ill-conceived and ill-spoken comments that he made at an IMF Forum on Wednesday of this week. In addition, we demand that the Minister exercise communication restraint where issues of the Free and Fair Collective Bargaining Process is concerned since his utterances violated the International Labour Organisation ILO, Conventions, #87 and #98, which speaks to Freedom of Association and the Protection of the Right to Organize and of the Right to Organize and Collective Bargaining. With respect to the emergency meeting of the NTAC which was held last Friday afternoon, FITUN did indicate that we are still committed to the process since we are aware of the current economic challenges that the Country faces and as such we supported some of the ideas proposed to move the tripartite process forward. But we were adamant that the Minister must unconditionally publicly apologize for his statements. We did indicate that we were not in agreement that he was misquoted, misunderstood or misrepresented. We made it quite clear that the Minister misspoke and exposed his hidden IMF Agenda and in those circumstances, he must humble himself and unconditionally publicly apologize. We are therefore demanding that he should be disengaged from the NTAC since he has compromised the integrity of the Council and remains unapologetic for his disingenuous statements. For the records, FITUN agreed to be part of the National Tripartite Advisory Council, since we believe that the process of Tripartism is a fundamental pillar around which any modem Society can organize its socio-economic policies to ensure some degree of social stability. In addition, we are cognizant of the severe economic challenges that the country is facing which we are convinced beyond any doubt, were not the making or doing of the workers of this country. For years we have been articulating that the neo-liberal socio-economic model that successive Governments have followed has caused us to be in this unholy mess that we are currently facing. Notwithstanding our diametrically opposed ideological views and our evidenced based arguments against this model, we are mindful of our responsibility to ensure that the workers that we represent and the communities that we operate within are at least provided with a decent standard of living, that their rights are protected and that they benefit from the natural resources of the country in a fair and equitable manner, consistent with the provisions of our Constitution. As such, we took strong offence to the Ministers statement which was made in a forum held by the major proponents of the neo-liberal agenda, the International Monetary Fund, IMF. His obscene reference to Wage Restraint and his flippant statement alluding to the fact that he has raised Fuel prices and there were no riots and as such he is looking at raising it again since all that workers and their unions would do is to hold placards with his name and picture and wave it during protest demonstrations are clear indications of his Government’s intention to institute harsh austerity measures under the dictates of the IMF. We are convinced that this is a strategy to force the Trade Unions to abandon the Tripartite process and leave the Government with the freedom and the unfettered right to institute harsh austerity measures consistent with the IMF dictates. We have identified the deceptive tactic and as such we would not be side-tracked from our mission to ensure that the working class and less possessed and disadvantaged citizens would not be saddled with the burden of adjustment in these challenging economic times. If that was not a deliberate tactic, then the Minister committed a serious act of deception and disingenuousness, which the Prime Minister must immediately address since he can cause further embarrassment to the Government and by extension the Country. In these circumstances if the Minister fails to heed to our legitimate request, the Prime Minister must do the honourable thing and disengage the Minister from this very important and critical forum. The issue of trust is a fundamental pillar around which Tripartism would succeed, and in the face of this blatant, unapologetic breach of trust by the Minister, his further participation in this process could only cause further distraction, contamination and the failure of the NTAC to deliver on its mandate.